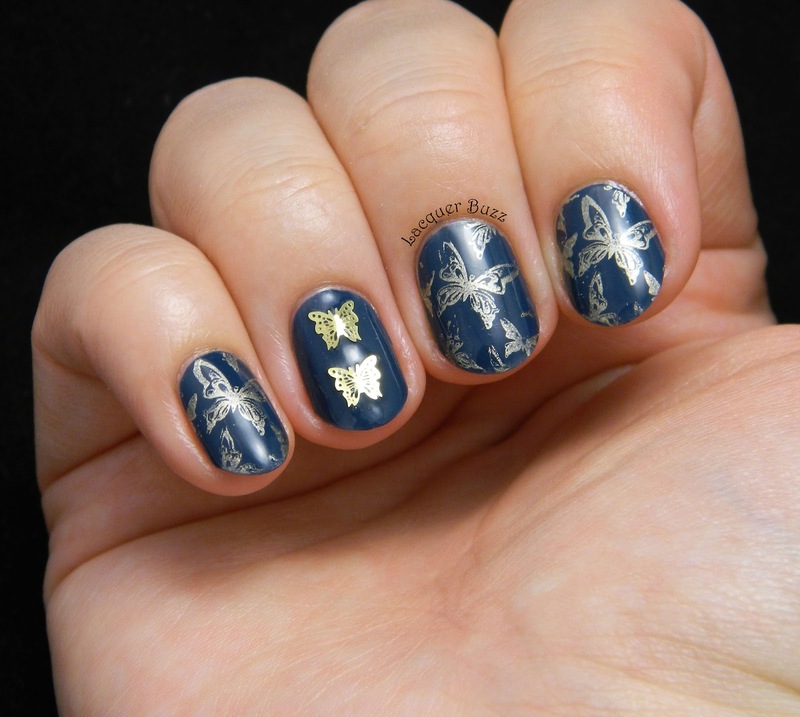 The inspiration for these nails comes from the golden decals you see on the ring finger. I've been wanting metallic decals like these for a very long time but I somehow never got to buy some. I finally found a wheel of these in a local shop and they came home with me. The wheel has different shapes of golden decals made out of a very thin metallic sheath. 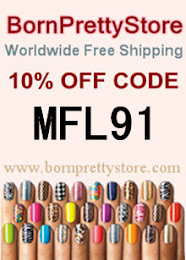 They are thin and flexible so you can easily adjust them to the curve of your nail. I only had a few butterflies so I used them as an accent nail. 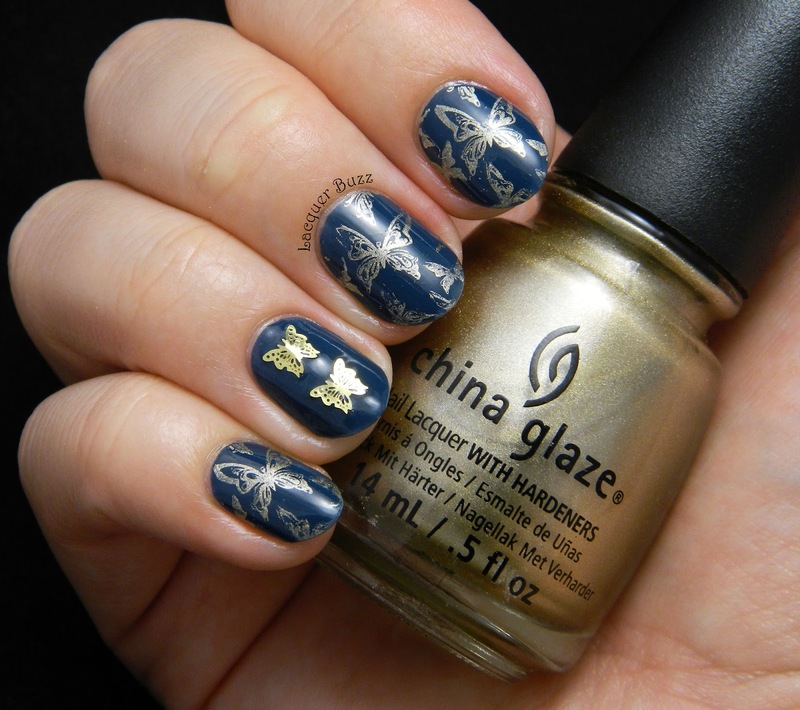 This was also the first time that I used China Glaze Passion for stamping. I bought it because I needed a golden stamping polish and I knew that the shades from the Romantique collection stamp well so I ordered it and wasn't disappointed. The butterfly image is from plate BM-307 and the base color I used was p2 Wild Miss. If you haven't noticed yet, I have developed an obsession for butterflies. I love them on the nails but also everywhere else. I have two dresses and two pairs of earrings that are butterfly themed. 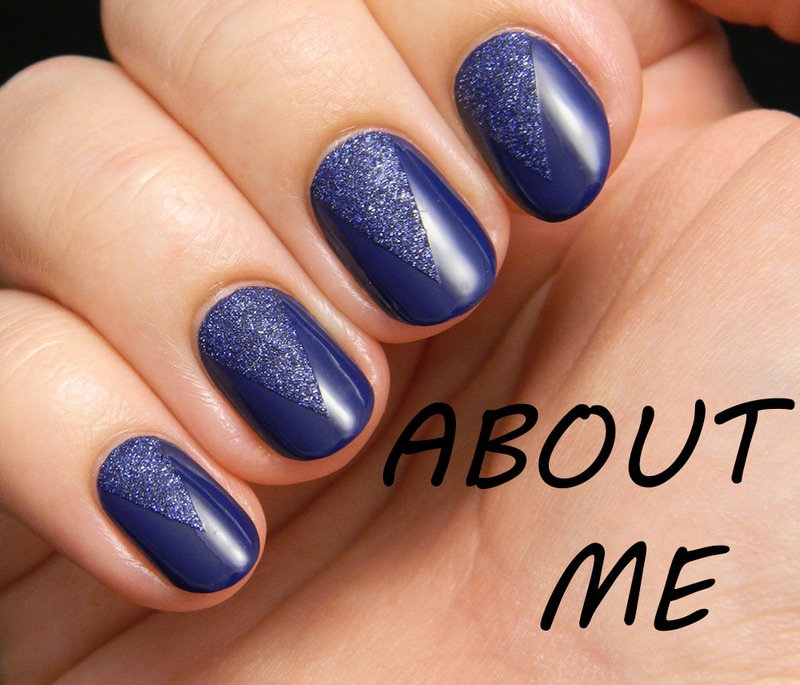 So you can imagine how much I loved this manicure. I really hope you like it too! Happy (belated) birthday and your nails look awesome! Happy Birthday. 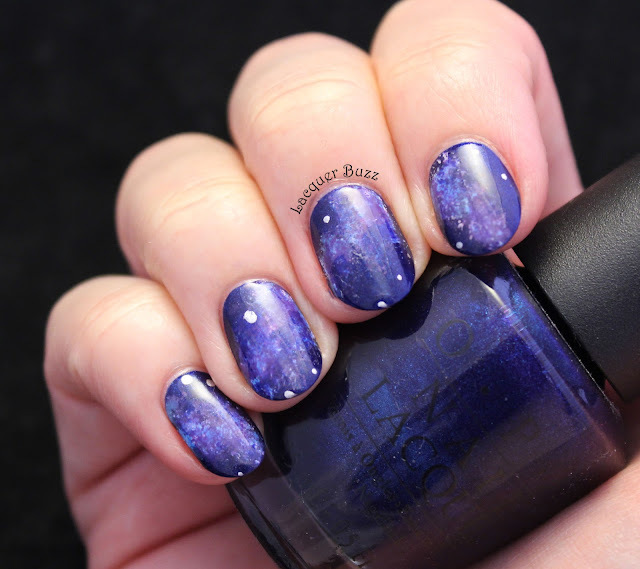 Great mani. 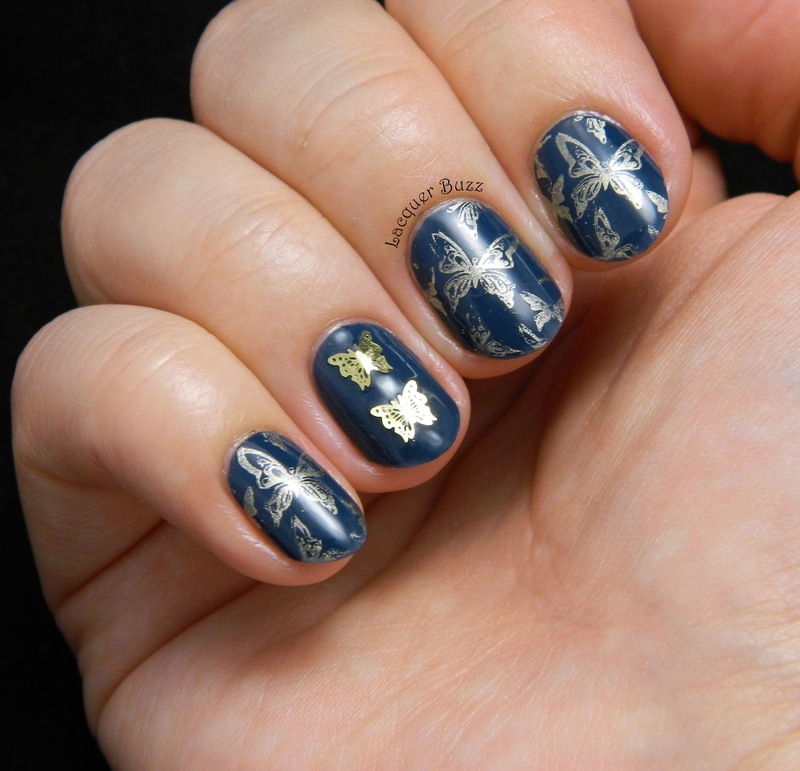 I love the gold stamping over the blue base. 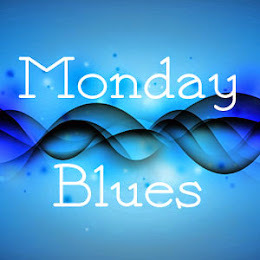 The gold and blue is pretty! 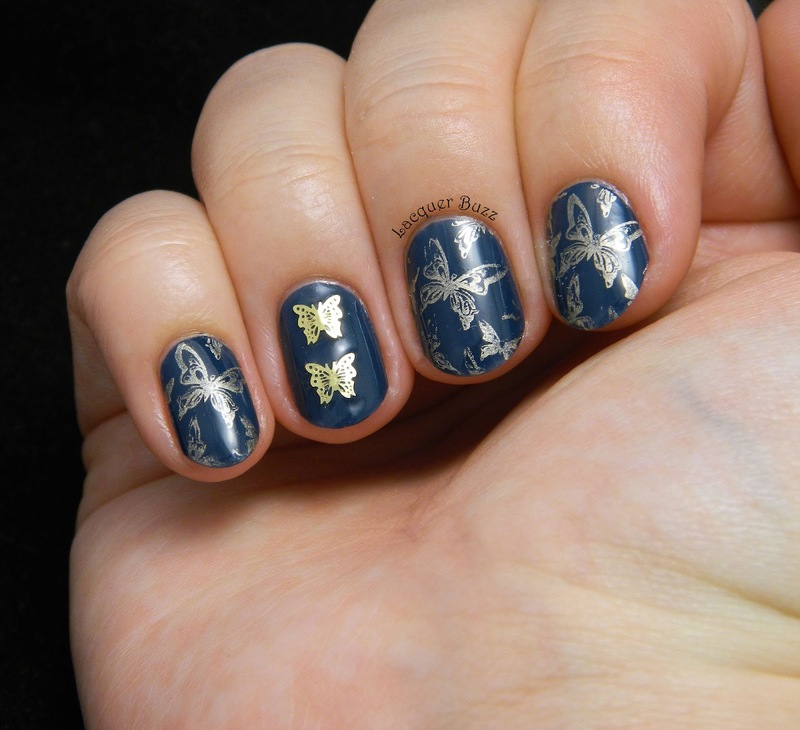 Love the butterfly stamping.